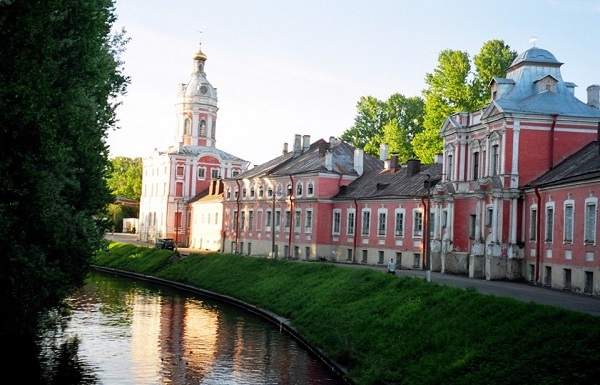 St. Petersburg is well-known as one of the large orthodox centers of Russia. 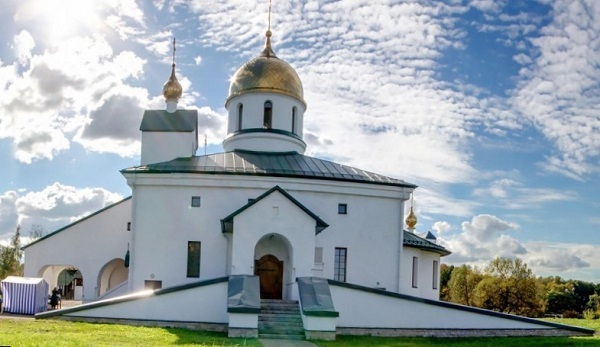 Here rather than elsewhere the most beautiful churches, monasteries and cathedrals storing shrines to which believers from across Russia go to bow are located. Every year thousands of pilgrims come here to bow to orthodox shrines. Today we speak about the most significant orthodox shrines, their storage and location. 1. The Alexander Nevski Monastery - Nab. reki Monastyrki., 1. Perhaps, this is the most known temple of St. Petersburg where there is a set of different shrines. There are the hallows of the city's patron saint Alexander Nevsky, the icon of Paraskevas Pyatnica especially attracting the interest of Germans and other relics. 2. The chapel of Holy Blessed Xenia of Saint Petersburg - Kamskaya St., 24. The temple of one of the most respected Saints in St. Petersburg, fool for God's sake Ksenia. After the death of the husband who died without performing a funeral service, in 26 years old the young girl chose a way of foolishness for Christ, dressed clothes of the husband and responded only on his name. She said that Ksenia died, but her husband — is alive. All family property she contributed to the church. 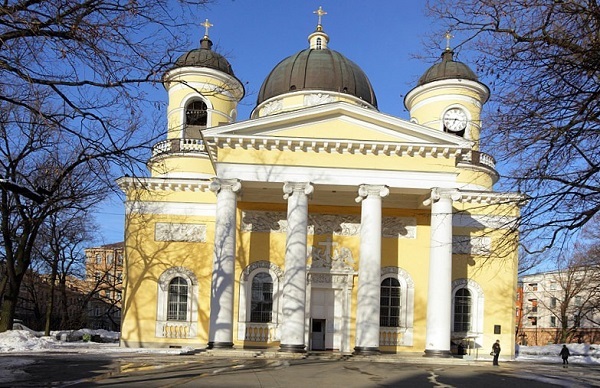 On the place of her burial was erected the church in 1902 on the project of the architect A.A. Vseslavin. 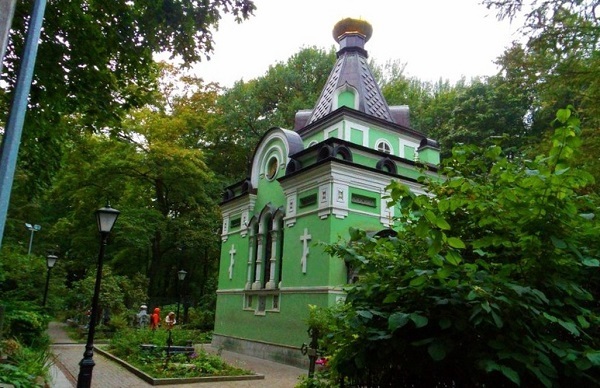 Her small chapel at the Smolenskoe cemetery long since became the place of pilgrimage of believers from across the country. Thousands of notes, candles, the people visiting the small church – is a habitual picture. 3. 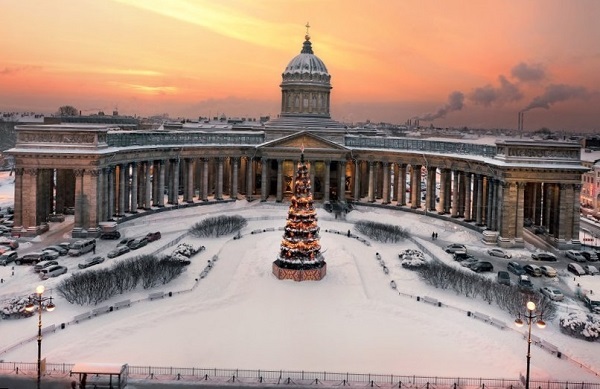 The Kazan Cathedral - Kazanskaya Square, 2. The main shrine of Kazan Cathedral - is the Kazan icon of the Mother of God. For for the love of it the cathedral was constructed in 1811. Miraculously presented in Kazan in 1579 this icon is one of the most esteemed icons in the whole orthodox world. The Kazan icon of the Mother of God is an informal spiritual symbol of war of 1812, Russian patriotism and orthodox belief. 4. The Convent of St. John of Rila - Nab. reki Karpovka, 45. 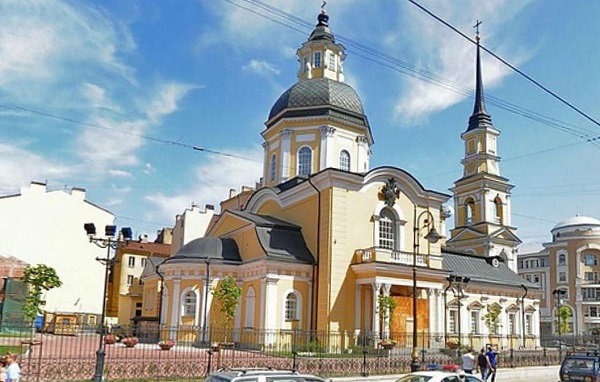 Initially the convert was constructing as a town residence of Ioanno-Begoslovskaya covent, and in 1901 it received the status of full-fledged monastery. Here is the interred John of Kronshtadt, the menacing defender of the faith of the beginning of 20th century. In the convert's cellar there is a burial vault-church of the Pater John of Kronshtadt. According to the legend, at a burial vault were conducted miraculous healings, here people from all over Russia came for praying. 5. The Cathedral of the Transfiguration of the Saviour - Preobrazhenskaya Square, 1. There is a holy picture of icon of Christ not made by hands that accompanied Peter the Great and at the time of St. Petersburg's foundation, and at the battle of Poltava. The icon patronized the founder of the city therefore its value is clear for Petersburgers. 6. Church of the St. Righteous Job the Long-suffering - Kamchatskaya St., 6, the orthodox cemetery Volkovo. This is unique north-westward church of Saint Job, the character of Old Testament. Job was rich, he had beautiful daughters, but the Satan demanded from God to test the righteous. Then God seized from Job everything he had and doomed to sufferings and torments after the termination which God rewarded him three times as much. The interesting fact — this temple never stopped working, even in days of blockade. 7. Church of the Icon of the Consolation of All the Afflicted - Obukhovskoy Oborony Ave., 24. The Icon of the Consolation of All the Afflicted (with coins "groshiky") became famous in 1888. 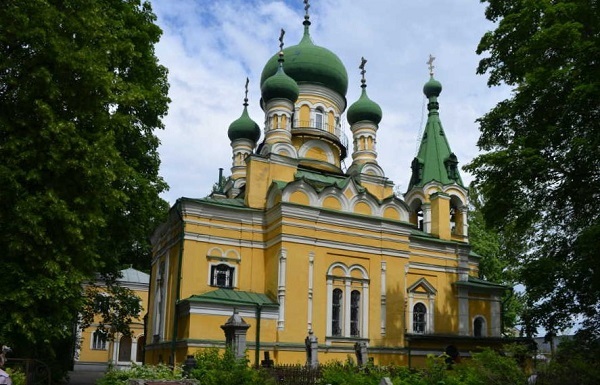 At this time in St. Petersburg during a great thunderstorm the lightning struck a chapel, but the sacred icon of the Most Holy Mother of God remained undamaged; small copper coins (groshiky) lying before a shrine just stuck to it. On the place of this chapel was constructed the church in 1898. 8. Temple of the Saint Nicholas the Wonderworker- Kolpino, Lagernoye Highway, city cemetery. This is the temple with the icon of St Nicholas the Wonderworker. St Nicholas the Wonderworker— as already follows from the name — makes wonders, including — the help with commercial transactions as he is very kind to people. 9. Church of the Icon of the Mother of God Pardoning - Vasilyevsky Island, Bolshoy Avenue, 100. Here is a "Pardoning" icon -one of the main icons of the Mother of God brought from Athos. They pray to "Pardoning" in remission of the gravest sins. 10. Church of Ss. Simeon and Anna, St. Petersburg - Vasilyevsky Island, Bolshoy Avenue, 100. The Icon of "the Three-Handed" Mother of God is known since the 8th century when in Byzantium there was a war between iconoclasts and supporters of an initial ceremony. On a legend, "the Three-Handed" also helped Serbians with the war with Turks. It was presented to the patriarch Nikon by hilandarsky monastery.